This is the exact conversation that we have with Michelle from Soul Kitchen. We went back for breakfast the other day, when everyone was working we were enjoying our ‘massive’ breakfast down there. It was another quality time that we spent together. Anyway, when you’re just like ‘sotong’ (squid) where people claims it blur, that means you need something to kick start your morning, whether be it at work or off work. I was one of that, that needed a cup of strong coffee to kick start my day. Once, a sip, the ideas could just flow freely into your mind and it will start thinking how to get things done for the day, and so on. 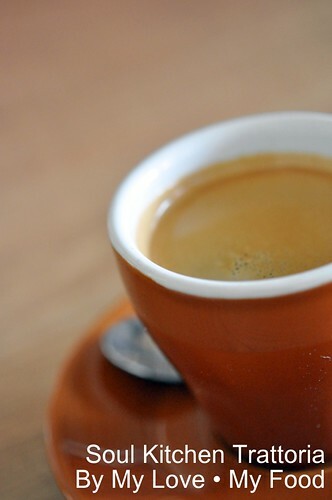 Before I could think thru what to have for the morning, I just want a Long Black Coffee. And with that, whatever it’s in query, will be answered. Needless to say, having healthy breakfast for a day is something every parent will tell their children. And we were told that too when we were young. So, why would we thrifty about what we want to have, right? 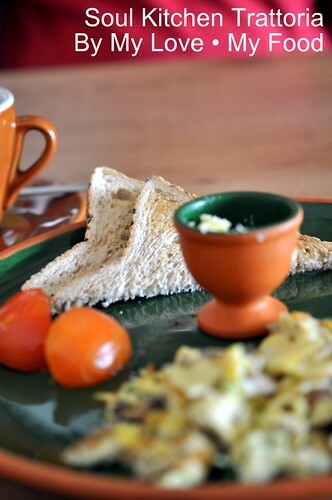 Such, I have Scrambled Egg with Mushroom (RM6-00), which consists of one slice of bread that cut into half, and tomato. 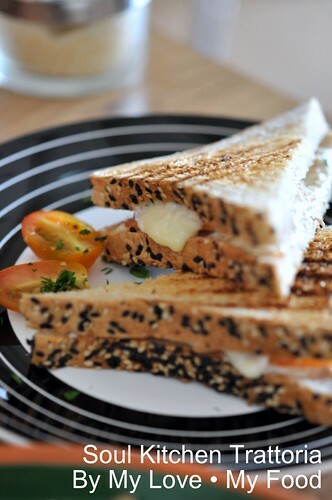 Hubby has Tramezzini Tuna (Grilled Sandwich – RM10-00) for his breakfast. It was a simple snack in many European countries, well, at least that’s what we were told. 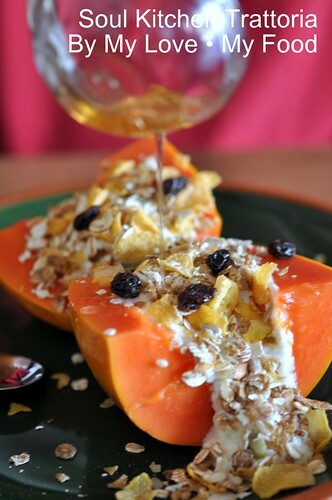 Next, Muesli on Papaya (RM9-00), added honey on it, that makes the entire thing so delicious. So, all the above look massive to you?? 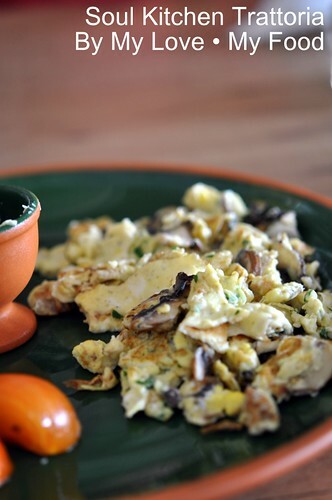 If you’re looking for some healthy bite for the morning, Soul Kitchen Trattoria is the place for you. Haha, nope. Far from massive, actually. nice leh, my kinda breakie! 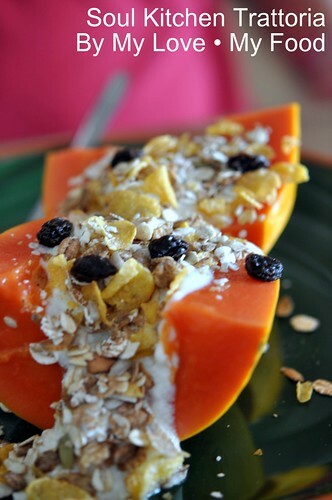 Muesli on Papaya sounds interesting. I wanna get some papayas and pour some mueslis and raisins on it! 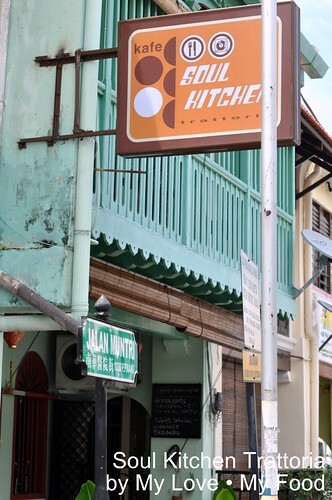 Just had the dinner there just now where we occupy the whole restaurant. The food there is good and simple. Awesome experience!